A group of researchers has lost two papers due to “high degrees of similarity with previously published works,” according to the notices. The authors are objecting to the retractions, however, arguing the journal never gave them an opportunity to show their work is different from the previous papers. 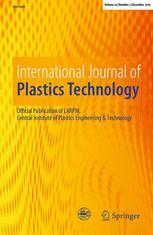 Both papers were published in the International Journal of Plastics Technology, and share the same three authors, all based at Charan Singh University in India. They were retracted by the Editor in Chief, according to the notices.